Ever wondered what keeps a website above in the search engines results? Yes, it definitely is the search engine optimization behind it, but what actually has been done for this optimization. Basically, different search engines give different algorithms and criteria for the websites placements in search results. 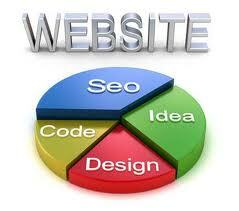 The website that fits best in those criteria gets the highest position. Some of the recent algorithms introduced show that the website speed affects SEO. Google and other engines have included speed in their algorithms because this is one main factor that keeps the users happy. Hence, higher is the speed; higher is the position in search results, leading to higher click through rate. Plug-ins: Different plug-ins must be used so that the pictures and videos do not decrease the speed of a web page. Keywords: Use the potential and target keywords that are expected to be used in searches. Make as many sets as you can so that, whenever a similar word is found in your content, your website is the first one to be thrown towards the user. You may use the area name, your products or services or the goals you are looking forward to achieve. Friendly Navigation: Give a structure to the website which is easy to be understood by the users. Divide this structure into proper chunks and use descriptions to help the users in navigating to different sections of the website. Social Media: Giving the links of social sites on your webpage not only makes it SEO friendly but increases the exposure as well. People from these platforms are more likely to pour in. Evaluating Performance: As a final step, the performance of the web page must be evaluated to analyze the speed, once it has been developed, since the website speed affects SEO. Different add-ons and tools are available in different browsers for this purpose.